So you’re visiting Exeter this spring and you’ve done everything from choosing your accommodation in Exeter to arranging your travel here, but now you’re thinking of what to do when you arrive. We all know that a trip away can be costly but when visiting Exeter you don’t have to break the budget. There are plenty of free activities on the doorstep of your Exeter accommodation perfect for any eager visitor. Exeter’s Haldon Forest provides some 3,500 acres of stunning woodland for both visitors and locals to explore. Whether you’re an experienced hiker, or a casual stroll is more your thing, there is something for everyone. There are a range of walking and cycle trails that show off its natural woodland beauty. Haldon Forest really is the perfect escape from your city centre Exeter accommodation. If forests aren’t for you why not head to Exeter’s historic quayside. Bubbling with history and an array of local pubs and restaurants scattered along the quayside, it is an ever popular attraction in Exeter. Leisurely amble along the river Exe taking in the beautiful scenery, or if you’re feeling more adventurous you could even cycle. 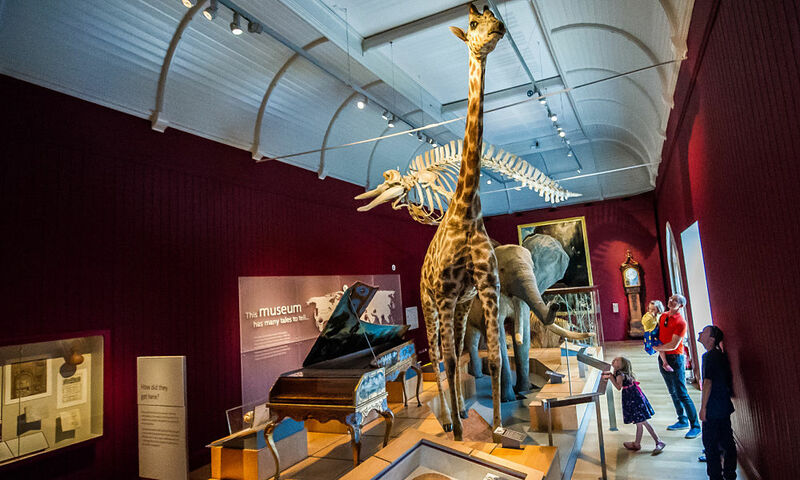 With free admission why wouldn’t you take a trip to Exeter’s RAMM Museum? An intriguing day out that will take you back in time as far as Ancient Egypt. There’ll be plenty to keep you from being bored and you’ll come away with bags of new knowledge. Cathedral green outside of Exeter’s famous Cathedral is the ideal spot to laze in the spring sunshine, and what’s even better is you don’t have to spend those precious pennies to enjoy it. Bring a picnic and unwind as you watch the world go by. Haven’t booked your accommodation in Exeter yet? Don’t worry it’s not too late. Book now on our website or get in touch with a member of our team to start planning your adventure in Exeter this spring. Updated blog post. Original posted December 2018.